The Bass Drum boilers of the Fire series immediately stand out due to their solid hardware. The legs come in a very solid version and promise safe standing, no matter on which surface. The tension claws are lined with rubber pads, which not only protects the tension tire, but should also improve the resonance behaviour of the bass drum. The Fire Drums are made of the finest maple wood, which is glued and pressed in several layers into a perfectly round bowl. The boiler edges are cleanly burred and offer an optimal contact surface for the skins from Remo. 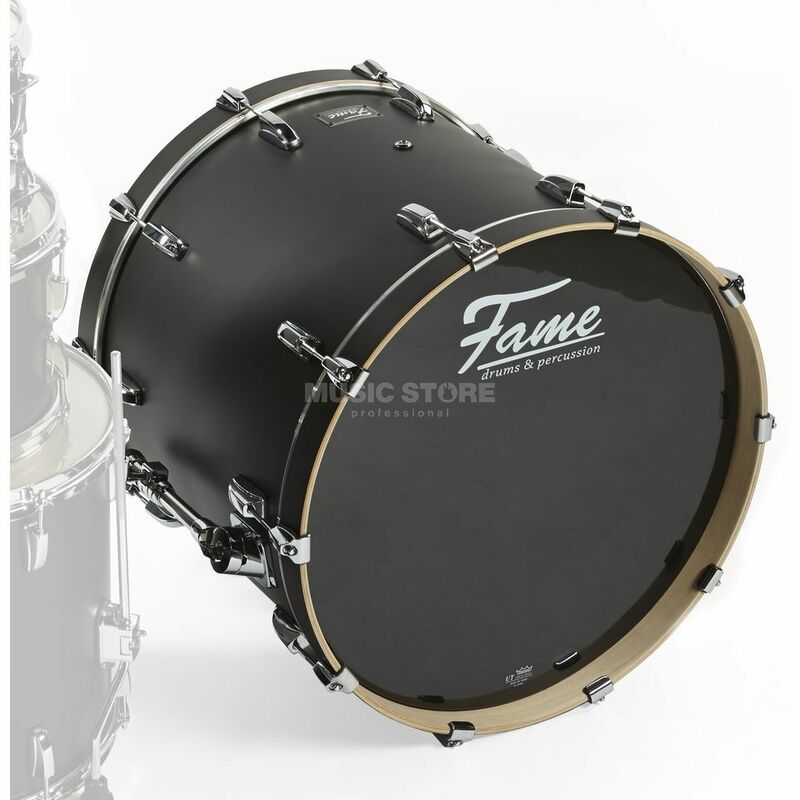 The striking head is a transparent fur with integrated cushioning ring, the resonance head is also from Remo and comes in black.